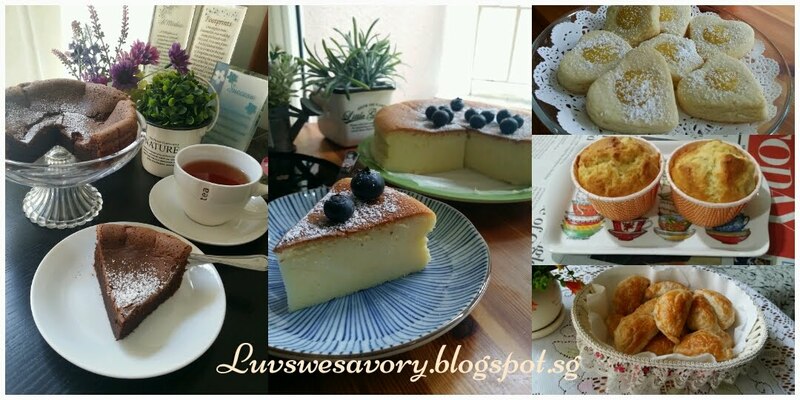 Few weeks ago, my baking kakis ( baking buddies) and I attended an enjoyable tarts baking workshop. 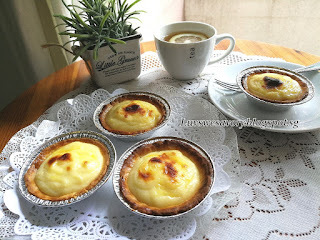 We were taught to bake 4 tarts recipes and Hokkaido Cheese Tart was one of them. Since my big kids loved Hokkaido Cheese Tarts, why not pratice what I've learned. So baked some for our weekend snacks. I adjusted the recipe a little ... instead of 200g cream cheese, I mixed with some mascarpone cheese. Egg wash : In a small bowl mix 1 tsp milk and 1 egg yolk with a fork. Brush the rim of pastry shell and cream cheese mixture. 1) In a big bowl, combine the plain flour and salt, set aside. In a small bowl, mix the egg yolk and milk with a fork. 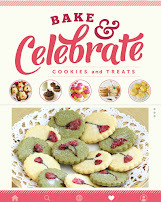 2) Using finger tips, rub the cold butter into the flour mixture, until it resembles bread crumbs. 3) Pour in egg yolk mixture and kneading and mixing until a dough is formed. Form a flat disc and wrap the dough with clingwrap and chill in the frigerator for 30 mins. (Can prepare in advance and fridge overnight). 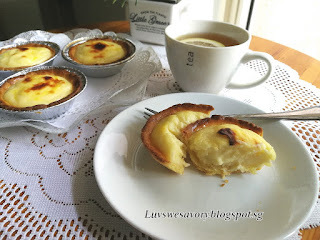 **while waiting for the dough to chill, you may proceed to make the cream cheese custard. 4) Take out the dough from the fridge. Preheat the oven to 180ºC. Position the rack in the middle. 5) Dust a working surface with some flour. Divide the dough equally. Mine is 22g each and press the dough into a tart mould or alumimum case. Prick the base of the pastry with a fork. Repeat with the remaining. Brush the rim of pastry shell with egg wash.
6) Prebake pastry shells at 180ºC for 10 mins or until golden brown. Remove from oven and place on wire rack to cool. 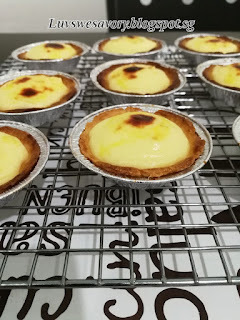 Cook the cheese custard using bain marie method. 1) Combine all the ingredients (A) into a heatproof bowl. Half-fill a cooking pot with water and bring to a simmer. Set the heatproof bowl in the mouth of the pot and cook with low flame. Keep stirring the mixture with a whisk till everything is melted. 2) Once metled, add ingredients (B). Mix till well-blended, the mixture will thicken slowly. Add in ingredients (C). Mix well till smooth, off the flame and cool the cheese custard. Transfer the cheese custard to a piping bag. 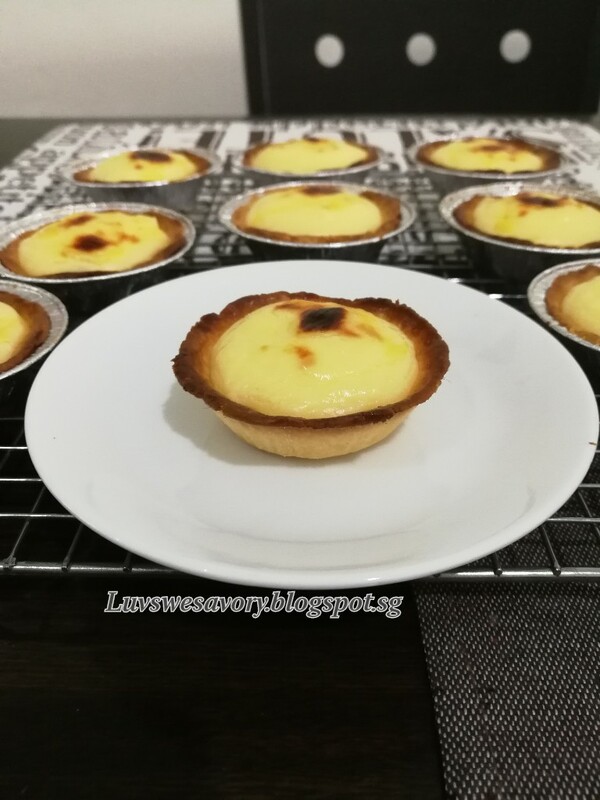 Pipe cheese custard into the cooled pastry shells. Chill in the fridge for about 20 - 30 minutes. Preheat the oven to 210ºC. Gently brush the top of the cheese mixture with egg wash. Bake for about 10 mins. Done! remove from oven and place on wire rack to cool. Serve warm if you like. In my next attempt, I will reduce the cheese filling baking from 10 to 8 mins to yield more a gooey texture. Freshly baked ! Enjoy warm fragrant Hokkaido Cheese Tarts with a cup of hot honey lemon tea. Yummi-li-cious! Hi Karen! These cheese tarts are sure to please. This really looks wonderful Karen, I bet your kids were very happy.